Both Khaligraph Jones and singer Otile Brown have released statements regarding their new song “Japo Kidogo” which has been removed from YouTube. Jones on social media posted that he has no clue why the video was deleted and asked fans to question Otile brown if they needed answers. “This video Has been pulled down from YouTube and I don’t know why, only @otilebrown has the answers, just when I had successfully launched my Singing career, Itabidi sasa SUPERMAN imekuja.. #respecttheogs #mrinternational,” wrote Papa Jones. Answers On social media, Otile Brown explained that the video has been pulled down because of management issues but avoided giving clear reasons why. “To my loyal fans who have always supported me, I know there’s a lot of speculation going on as to why my newly released project titled “Japo Kidogo” featuring Khaligraph Jones was pulled down from Youtube. The video was pulled down from youtube just 2 days after it’s release due to management issues that am not in Liberty to discuss unfortunately, even if I wanted to. This is what I would like to say though, there’s a lot of hard work, a lot of resources/money and a lot of time that goes into such a project thus my management and I would not just pull down a video just like that. We respect artistry and the craft but at the end of the day it’s still business and we have to respect that. All I promise is we are still going to give you our fans what you deserve which is good music. #BadMan . #WegotnothingbutLove! bless y’all” explained Otile Brown. 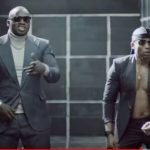 The post Otile, Khaligraph Jones finally explain why their new song was deleted on YouTube appeared first on Ghafla! Kenya.